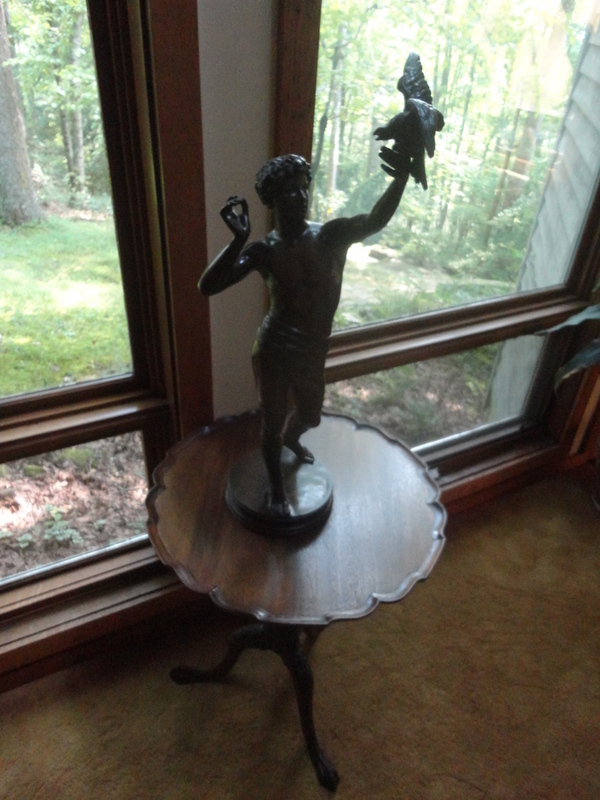 GATLINGBURG LIVING ESTATE-SUNDAY AFTERNOON -AUTOS, ANTIQUES, ART AND MORE. This entire estate has been moved to our auction gallery in Johnson City. 1967 Daimler 250, 2003 Mercedes(30k miles) Fine art, modern art pottery. Italian furniture, large Waterford collection, Silver overlay pottery, Bronze, leather furniture, stained glass windows, fine upscale furniture, fine Indian art, handmade carpets, large collection of Heisey glass, wood carving, library, custom iron, iron furniture, Icon, Hunt prints, custom dining furniture, Seith Thomas clock, stoneware, a basement of items packed away for years, yard art, folk art, high-grade audio equipment, and much more. 2002 E320 Mercedes wagon (one owner with 31.000 miles),1967 Daimler Benz RHD V8 sedan, Peter Max signed artist proof(once belonging to Shirley Butcher), Bang & Olufsen amp and Beolab speakers, Waterford Crystal, Cartier sterling, LaLique, Fine arts and crafts, Seth Thomas clock, Silver, fine furniture, Lenox, large collection of Heisey, stoneware, art glass, Native American art, Navajo blanket, nautical items, Cool decorations from the Jamaica house, fine carpets, fine art, political items, 19th Century Italian and French furniture, Large library, Great lamps, studio pottery, Lenox nativity, Mid- Century furniture, bronzes, large group of antique stained glass, Silver and plate, antique crocket sets, tools, paintings, hundreds of household items and box lots. Items from 1.00 to $20,000.00. Other wise something for everyone. Many useful household items and antiques. If you cannot attend the auction stop by at preview and you can leave an absentee. Terms- Cash or check 10% BP, Preview10:00 am morning of the auction and Sat. 10:am till 1:00.
woofer, and two tall speakers, working fine. Also four pre-amps, cassette deck. Stop by and take a look at the best stereo in the world. Est-2000-3000. This sale will be held in our gallery. New retails over 18,000.